Knowing where she was standing, I tried my best to redirect her toward the truth, but she didn’t want truth. I tried to share Jesus with her, but she didn’t want Jesus. She wanted a guru who could guide people to a higher power that wasn’t really any higher and certainly didn’t have any power. She wanted to have the good feeling of being “connected” to something but she didn’t want that connection to actually make any demands on her life or to bring any changes. React: Abiding in Jesus means not abiding in a lot of other things. If we really want to be his follower, we need to deny ourselves and embrace death. Nothing else will do. If we are to truly be connected to God, we need to disconnect from the world. Only then will we bear any fruit. God, I want to stay connected to You. I want to be plugged into You. I want to bear fruit. 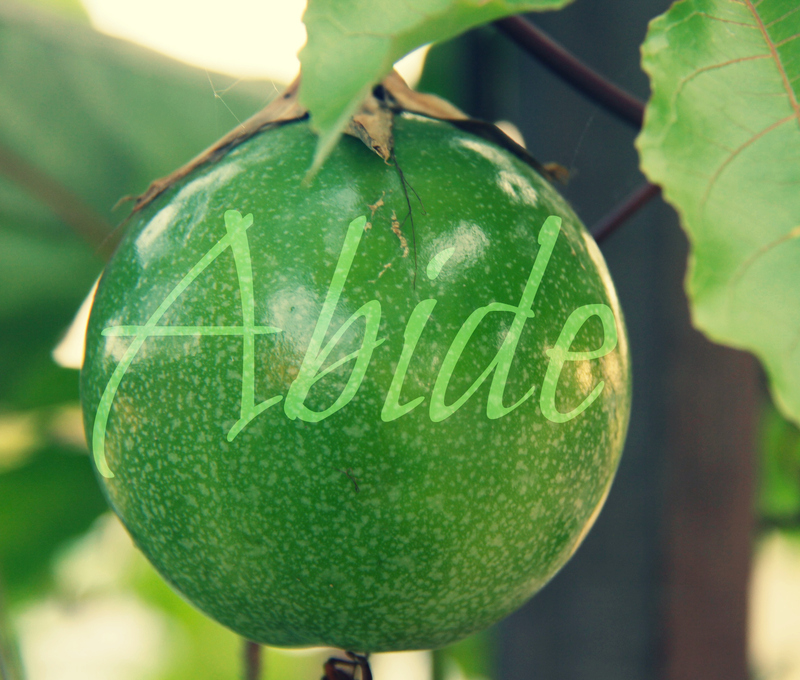 I want to abide. Help me to disconnect from any ideas or influences, any habits or thoughts that are not of You. Help me to disconnect from the need to fashion a god in my own image. Help me to disconnect from anything that reeks of a false, “comfortable” Christianity. You are my Life. You are the Truth. You are the Way and there is no other. Oh B.J. there are a whole bunch of those “she’s” out there. Guru’s aren’t commanding or asking of anything. It’s sad there are many who are ignorant of the truth and don’t want to hear it. We can’t give up though. I was one of those who didn’t want to hear it but God got a hold of me and it hasn’t been the same since. Praise God. My ears, eyes, and soul are grateful for this post ! May we all seek and strive to go deeper and further in Him! Amen Brother, preach on! You took the time to plant the seed. God will take it from there. I am presented with the same answers from people about higher powers. Who do they turn to when they have a real crisis? Who offers salvation? Only Jesus. I enjoyed your writing so much. Wanting the benefits without the cost again. I pray that more people will pay the price and find how easy his yoke is. I’m so glad you tackle issues like that and I find those people to be the hardest lol. I often wonder why a human being would want to follow just another human being when you could be grafted into the one who raises people from the dead. It’s scary to come before an almighty God with such power. The truth is, if people REALLY believed that God was loving, that fear wouldn’t exist; and the need to make God in our image wouldn’t be possible. Great read. In an egoistic and disposable world the word “stickability” is not an “in” word. Stickability – let us abide in Jesus for our good.